Food additives serve a very useful purpose: They ensure that your food lasts longer and conserves its flavor, texture and color. Some additives even help maintain the original nutritional value of the food so that it doesn’t dissipate as the food gets older. As many benefits as food additives have, however, they also have a good number of disadvantages. A number of additives can cause allergic reactions. The two most widely artificial colorings -- Red 40 and Yellow 5 -- are also the most likely additives to cause allergy-like reactions and hypersensitivity. They can also cause hyperactivity in some children. 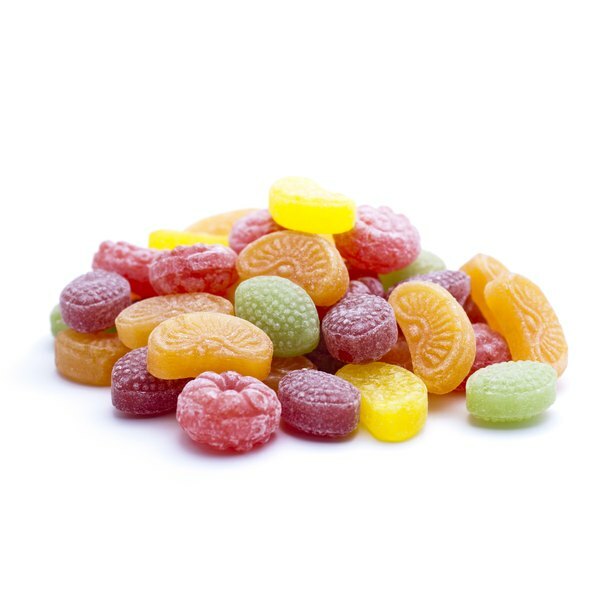 Red 40 and Yellow 5 are widely used in everything from pet food and sausages to soda, candy and pastries. Other food additives that are known to cause allergic reactions in some people include the artificial coloring carmine, tragacanth gum and sodium benzoate. The position of the FDA is that none of the food additives on the market are dangerous. Small studies and organizations like the Center for Science in the Public Interest disagree. The most controversial additive is the artificial sweetener aspartame, used to sweeten diet soda, chewing gum and some desserts. In a few small studies, rats that consumed aspartame developed cancer. Other additives that might cause cancer -- or have been shown to cause cancer in animals -- include coloring Blue 1 and 2, Yellow 5 and 6, the antioxidant butylated hydroxyanisole, the artificial sweeteners cyclamate and acesulfame-K, and anti-caking agent bromate. It’s likely that the amount of these additives present in foods is too small to cause any harm. However, it’s difficult to say what will happen in the long-term. Much of the enjoyment of food comes from the way it looks. The problem is that once you can freeze or process some of the foods, they lose their original color. To make the product more enticing, manufacturers sometimes add coloring. For example, Florida oranges sometimes have Citrus Red 2 artificial coloring added to make them look brighter. Many fruit drinks also make use of food colorings, as do some precooked meats, soy sauce and even beer. The bright colors might make you believe you’re eating something healthier, while in reality you might be drinking diluted juice that’s full of sugar. Always check labels to see the nutritional content of a product before you buy it. The flavor enhancer monosodium glutamate, or MSG, helps bring out the flavor of the foods it is used in. The problem with this is that manufacturers can reduce the amount of the real ingredient and still have the same strong flavor in the final product. So a can of chicken soup could contain very little chicken, and an orange juice cocktail might contain very little to no real oranges. Can You Be Allergic to Red Food?